The most basic electric stove uses a minimum of 4,800 watts of electricity when all its burners are turned on. The actual kilowatts consumed by the appliance varies significantly depending on the size of the burners, heating technology and how they are used during cooking. Electric stoves often feature four or more burners of varying size. Small burners use 1,200 watts of power, while medium burners consume 1,500 to 1,800 watts, according to Consumer Reports. The largest burners on an electric cooktop may use 2,000 to 2,500 watts or more, making them useful for boiling water or heating larger pans. Cut electrical consumption while cooking by matching burner to pan size. The U.S. Department of Energy reports that 40 percent of heat generated is wasted when you use a 6-inch pan on an 8-inch burner. Save even more energy by covering pots and pans with lids to keep heat in and replacing worn or damaged burners. 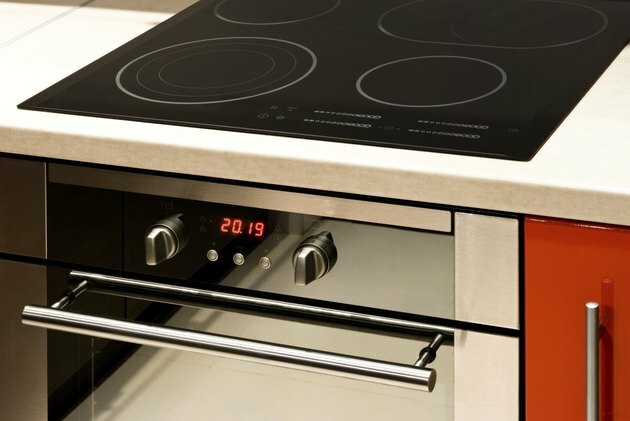 Induction stoves use electricity to generate a magnetic field and heat food. This technology allows you to fine-tune the wattage from 100 watts for simmering to 3,000 watts or more for boiling. Do Hot Plates or Single Burners Take Much Electricity?